According to statistics, Opera is the fourth most popular browser. However, if you need to uninstall the Opera browser from your Mac, you can find it tricky to do so. Deleting it by just a simple drag-and-drop to the Trash is not enough. We will tell you how to remove Opera from your Mac correctly. How to uninstall Opera manually. 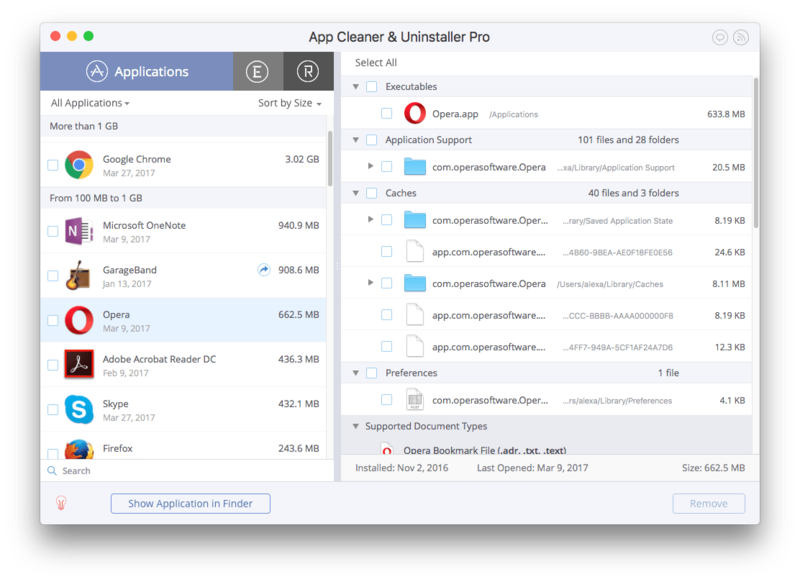 How to uninstall Opera using App Cleaner. 1. First, quit Opera from the Dock menu. 2. 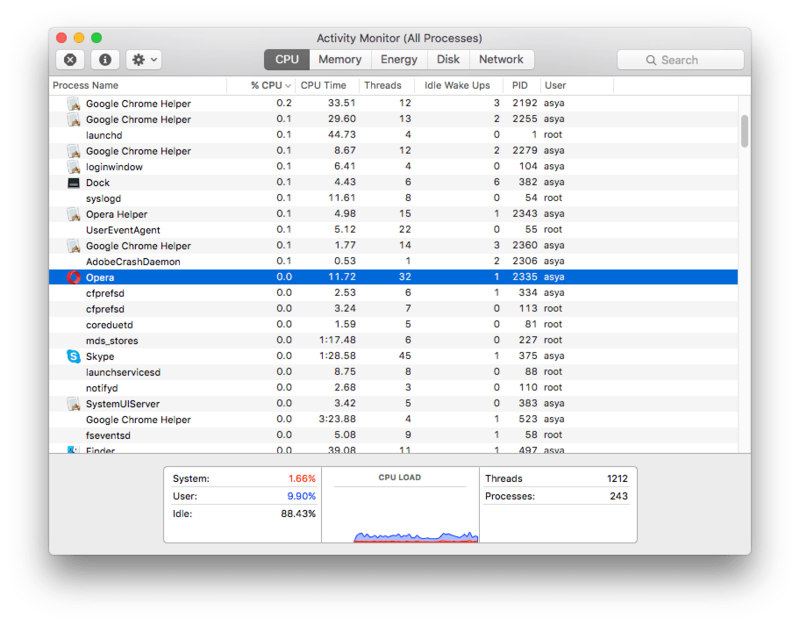 Then run the Activity Monitor utility from the Launchpad or find it in Finder→ Application→ Utilities. 3. 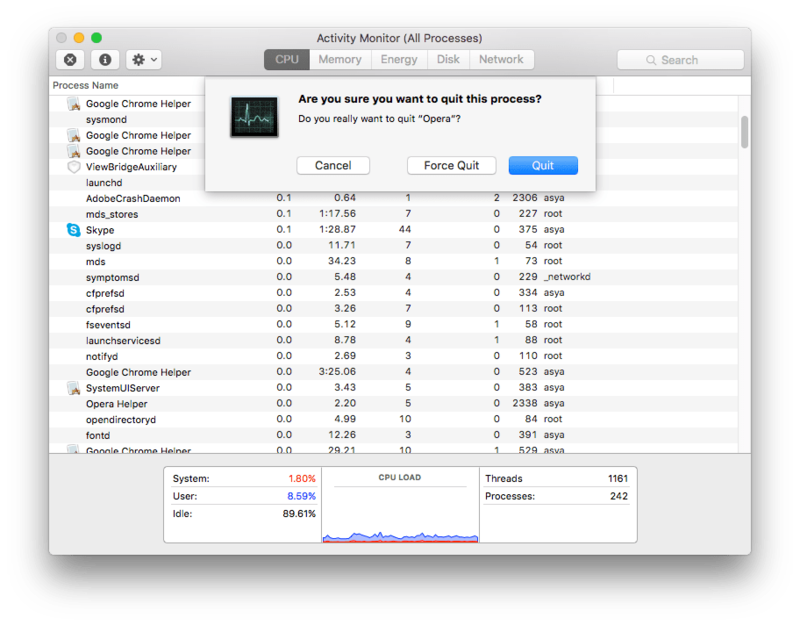 In the CPU tab, select the processes associated with Opera and click the Quit Process icon in the left corner of the window. In the window that appears, click Quit or Force Quit. 4. 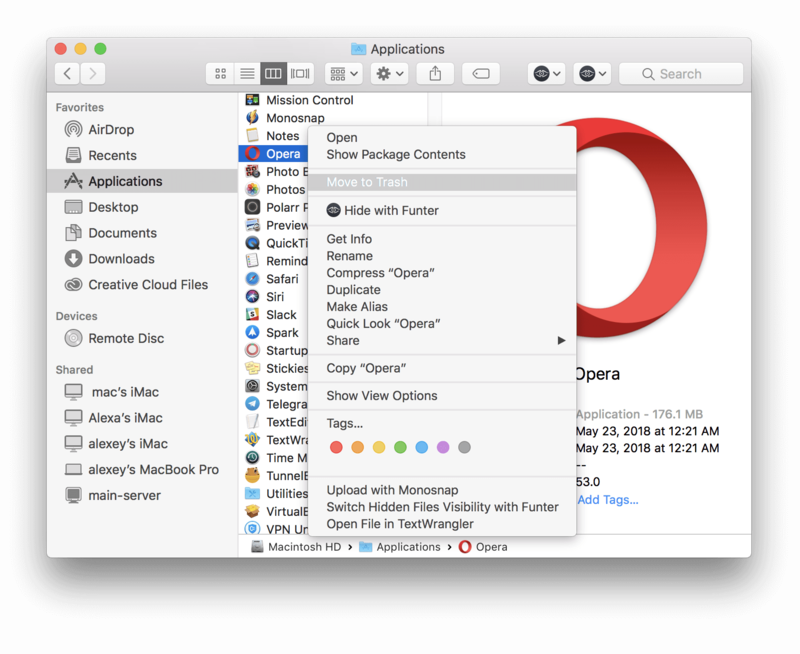 Go to Finder → Applications and trash the Opera browser icon. 5. 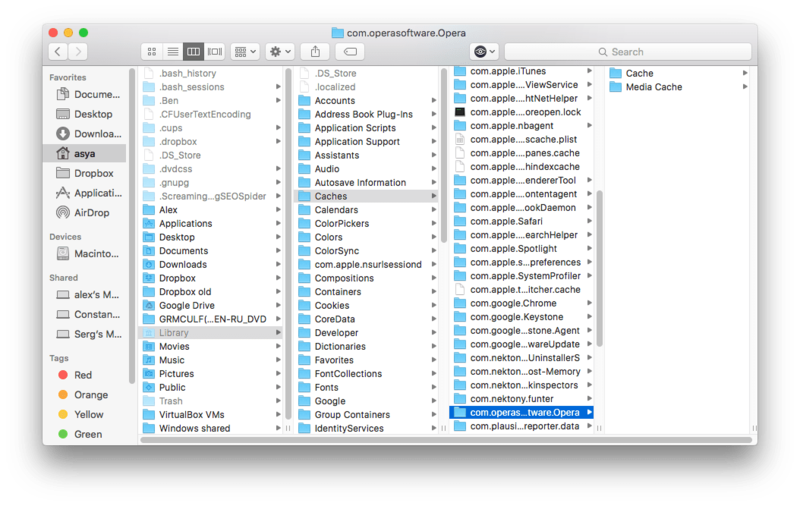 Now Delete all the caches created by Opera in Finder. They are located in a Library folder*. *Use the free app Funter to view hidden files and folders and delete them easily. Use the special tool App Cleaner to uninstall the Opera browser quickly. The app also deletes remains, which may not only be in a Library folder. Watch the video to see how it is easy to uninstall Opera using App Cleaner & Uninstaller. Launch App Cleaner from Launchpad and click Confirm to start scanning applications. Select Opera in the list of applications and click Remove. If you have deleted Opera before in a simple way, then take a close look in the “Remains” section to find and delete all the browser’s leftovers.